Alcoholics Anonymous (AA) is an organization that is dedicated to helping alcoholics learn to live their lives free from the clutches of alcohol. Its co-founder, Bill W, developed the alcoholics anonymous 12 steps with an aim to guide the former alcoholics on tackling issues related to alcoholism addiction, making amendments and continue living their lives recovering from alcohol addiction. The 12 steps of aa since its establishment has helped a large number of people suffering from alcoholism improve their lifestyle and get treated right. 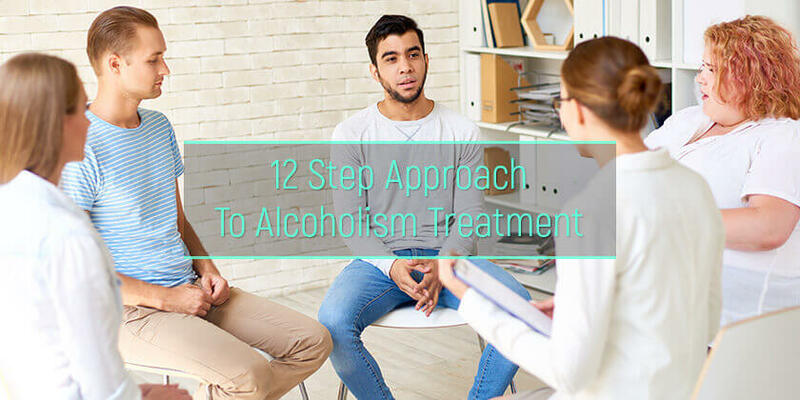 What is 12 steps alcoholism treatment? What are the 12 steps treatment objectives? What are the AA steps? What are the 12 steps success rates? What are the drawbacks of 12-step approach? First published in the year 1939, the aa 12 steps program is a set of strict and specific guidelines that must be followed to treat the issue of alcohol addiction suffered by an individual or a group. The methods were first proposed by a group name Alcoholics Anonymous (AA). The 12 steps of aa tend to achieve a certain set of goals which are ultimately leading up to the goal of tackling alcohol addiction. Numerous rehab for alcohol centers have introduced this system and reported an affirmative response. The objective is to acknowledge the fact that one is not in control of the crippling addiction or compulsion about it. The next objective is to identify with a “higher power” from where one shall draw the will to tackle the addiction. This, however, need not based on the religious sentiments of the addict. Next is to recognize past mistake under the guidance of an experienced individual. Following the diagnosis of the mistakes, comes the part where one needs to try and make amends to the same mistakes. The challenging part is this, in which one shall follow a new code of behavior – a more disciplined one, and structure the new life around it. The final objective is to act as an aid and support the fellow victims who are also fighting this battle against alcohol addiction. The objectives ensure that the person going through these 12 steps of recovery does not lose the habit of self-centeredness and become more thoughtful of others. It also focuses on rebuilding the alarmingly low self-esteem which is necessary to structure a healthy new life. Now to answer the question of what are the 12 steps of aa, we take a brief look on each one. The first of the 12 steps of aa is a simple mental practice that involves the acknowledgment of the situation the addict finds himself in. It is usually found to be the case that the people suffering from alcohol addiction, blame themselves. This feeling of guilt further encourages them towards extensive inebriation. Therefore, the 12 steps of alcoholics anonymous starts with the addict accepting and acknowledging the fact that alcohol is beyond his decision-making capabilities and is detrimentally affecting his or her life. It basically acts like a self-diagnosis and analysis of the situation, from where no one can start to get better results and make progress towards sobriety. This focuses on accepting the fact that there is “higher power” that will provide aid in overcoming this addiction. The definition of a higher power could vary from person to person, taking the role of a religious figure or a sense of supreme energy that one might believe in. The third step leans towards the religious beliefs. The addict needs to turn the will and care towards the God he or she believes in. Belief in any religious sentiment might play a pivotal role in the whole process. This stage involves a higher level of introspection, upon which one will be able to form an inventory of moral values and principles to consider and abide by. The fifth phase involves the process of confession. The alcohol addict is expected to admit to himself, the God and to the people around him, the nature of his wrongs. It focuses on instilling a sense of responsibility in the person that is a necessity in the future. This stage requires the addict to be accepting and flexible to the removal of the negative traits by God and his fellow companions. It requires the addict to request the aid of God and the people around him to help him overcome this flaw. It demands the addict to compile a list of people he or she has wronged and therefore make amends to them. This stage is a continuation of the last and states that the amends should only be made to people who wouldn’t be harmed or hurt by it. This stage focuses on the addict and encourages him to continue building the moral inventory and taking responsibility for one’s wrongful actions. 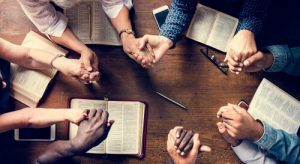 The eleventh of the alcoholics anonymous 12 steps primarily focuses on practicing regular prayers and meditation to stay in touch with the higher power and maintain the hard-fought sobriety. This last stage of the process teaches one to practice these principles in their daily lives and also pass on the acquired knowledge on to the other addicts who are in desperate need of it. Though there is no specific parameter for success, the addiction specialists cite the success rates of the treatment to be somewhere between 8% and 12%. Though the effective 12 steps have managed to save and change countless lives, it still faces considerable criticism for certain drawbacks. One major drawback, addicts experience, is the lack of confidentiality. The information shared in group meetings are not protected by any legal or civil cover. Thus, the other members or the sponsors can feel free to divulge the personal information at their will without facing any consequences. Another issue is one of cultural identity. For people who don’t share religious beliefs or any spiritual beliefs tend to feel the process is ineffective. With this overview of the al-anon 12 steps, the interested parties could now register for the alcohol intervention programs. One can celebrate recovery 12 steps in multiple ways. If the method does not prove to be as effective as promised, one can also resort to drugs to treat alcoholism. Apart from this treatment, there are various counterparts such as non 12 step recovery programs one could refer to. For self-help addiction recovery, one can also go for the smart recovery online program which is an online community designed to help each other recover from addictive behaviors. The fight against alcoholism, however, is a matter of will and persistence which can be found under the right guidance and support.